From Chamonix, the highest cable car in Europe, climbs more than 2700m, in 20mins, to the Aiguille du Midi cable car station, restaurant and terrace . The Mont-Blanc gallery leads to a lift which rises to the summit terrace (3842m), with exceptional 360deg views over Mont Blanc. The Mont-Blanc Panoramic gondola connects the top of the Aiguille du Midi to Pointe Helbroner (3466m) in Italy. Chamonix is a traditional Alpine town set against the spectacular scenery at the foot of Mont Blanc. The skiing is divided into five main areas, Brevent & Flegere, Les Grands Montets, Le Tour & Vallorcine (Domaine de Balme), L'Aiguille du Midi / La Vallee Blanche and Les Houches - all linked by a ski bus service. The ski areas are spread out almost 10 miles along the valley, only two of the ski areas are connected, the ski buses are crowed and erratic and none of the pistes finish back in the resort. However Chamonix Ski Resort does offer some of the worlds best expert skiing, on some of the worlds most spectacular mountains. Chamonix ski resort is part of the Ski Pass Mont Blanc Area with access to 394 individual pistes. As well as the skiing in Chamonix itself, which has 152 km of pisted ski runs, the pass will allow you to ski or snowboard in the other Ski Pass Mont Blanc ski resorts of Argentière, Combloux, Cordon, Le Tour, Les Contamines, Les Houches, Megève, Passy Plaine Joux and St Gervais Mont-Blanc. Les Grands Montets (1235m to 3300m) spread over three slopes, the Argentière glacier, Lognan and the Pendant which also offer magnificent off-piste skiing. Pistes: 29.3km - 3 green pistes, 5 blue pistes, 4 red pistes, 6 black pistes. Balme starting from the villages of le Tour and Vallorcine, the Balmes area has skiing over two slopes. Pistes: 31.5km - 2 green pistes, 12 blue pistes and 8 red pistes. Les Houches 55km of pistes: 2 green pistes, 6 blue pistes, 12 red pistes, 2 black pistes. Brévent Flegere (1030m to 2525m) these two south facing areas are linked by cable car and have the closest lift to the centre of Chamonix. Pistes: 57.6km - 7 green pistes, 13 blue pistes, 7 red pistes and 7 black pistes. 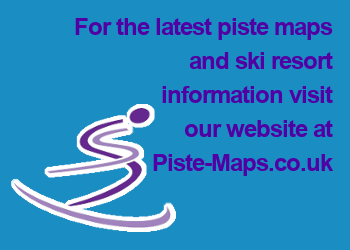 Pistes: 2.5km - 2 green pistes, 1 blue piste and 1 red piste. Airport bus available, railway station in resort, on the St Gervais-Le Fayet/Vallorcine line. 1,040 - 3,840m (3,410 to 12,600ft). Ski Pass Mont Blanc Area 500km, 394 in total. Large, varied ski area; excellent off-piste; lively apès-ski; traditional village; beautiful scenery. The Ski areas are widely spread out, the ski buses are crowed and erractic, very little slope-side accommodation. popularity can mean long queues. The village of Argentière lies 7km above Chamonix town, between the Mer de Glace and Glacier d'Argentière. There is plenty of good novice and intermediate skiing but the extensive off piste is some of the most challenging and exciting in the Alps.